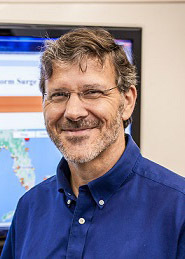 Barry Keim is the State Climatologist for Louisiana and a faculty member in the Department of Geography and Anthropology at LSU. In addition to operating Louisiana's state climate office, Dr. Keim conducts research on climate change and variability, extreme climate events, hydroclimatology, and human dimensions of global change. Dr. Keim was previously State Climatologist of New Hampshire, where he was a member of the northeastern United States AIRMAP program.